This article is about the American composer. For other uses, see Gershwin (disambiguation). George Jacob Gershwin (/ˈɡɜːrʃ.wɪn/; born Jacob Bruskin Gershowitz, September 26, 1898 – July 11, 1937) was an American composer and pianist whose compositions spanned both popular and classical genres. Among his best-known works are the orchestral compositions Rhapsody in Blue (1924) and An American in Paris, the songs Swanee (1919) and Fascinating Rhythm (1924), the jazz standard I Got Rhythm (1930), and the opera Porgy and Bess (1935) which spawned the hit Summertime. Gershwin moved to Hollywood and composed numerous film scores until his death in 1937 from a malignant brain tumor. His compositions have been adapted for use in films and television, and several became jazz standards recorded and covered in many variations. Gershwin was of Russian Jewish and Lithuanian Jewish ancestry. His grandfather, Jakov Gershowitz, had served for 25 years as a mechanic for the Imperial Russian Army to earn the right of free travel and residence as a Jew; finally retiring near Saint Petersburg. His teenage son, Moishe Gershowitz, worked as a leather cutter for women's shoes. Moishe Gershowitz met and fell in love with Roza Bruskina, the teenage daughter of a furrier in Vilnius. She and her family moved to New York due to increasing anti-Jewish sentiment in Russia, changing her first name to Rose. 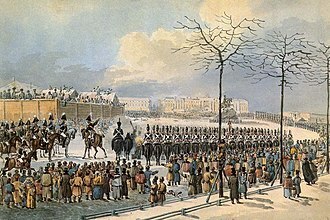 Moishe, faced with compulsory military service if he remained in Russia, moved to America as soon as he could afford to. Once in New York, he changed his first name to Morris. Gershowitz lived with a maternal uncle in Brooklyn, working as a foreman in a women's shoe factory. He married Rose on July 21, 1895, and Gershowitz soon Americanized his name to Gershwine. Their first child, Ira Gershwin, was born on December 6, 1896, after which the family moved into a second-floor apartment on Brooklyn's Snediker Avenue. On September 26, 1898, George was born as second son to Morris and Rose Bruskin Gershwine in their second-floor apartment on Brooklyn's Snediker Avenue. His birth certificate identifies him as Jacob Gershwine, with the surname pronounced 'Gersh-vin' in the Russian and Yiddish immigrant community. He had just one given name, contrary to the American practice of giving children both a first and middle name. He was named after his grandfather, a one time Russian army mechanic. He soon became known as George, and changed the spelling of his surname to 'Gershwin' about the time he became a professional musician; other family members followed suit. After Ira and George, another boy Arthur Gershwin (1900–1981), and a girl Frances Gershwin (1906–1999) were born into the family. The family lived in many different residences, as their father changed dwellings with each new enterprise in which he became involved. Mostly, they grew up around the Yiddish Theater District. George and Ira frequented the local Yiddish theaters, with George occasionally appearing onstage as an extra. George lived a usual childhood existence for children of New York tenements: running around with his boyhood friends, roller skating and misbehaving in the streets. Until 1908, he cared nothing for music, when as a ten-year-old he was intrigued upon hearing his friend Maxie Rosenzweig's violin recital. The sound, and the way his friend played, captured him. At around the same time, George's parents had bought a piano for lessons for his older brother Ira, but to his parents' surprise, and Ira's relief, it was George who spent more time playing it. Although his younger sister Frances was the first in the family to make a living through her musical talents, she married young and devoted herself to being a mother and housewife, thus surrendering any serious time to musical endeavors. Having given up her performing career, she settled upon painting as a creative outlet, which had also been a hobby George briefly pursued. Arthur Gershwin followed in the paths of George and Ira, also becoming a composer of songs, musicals, and short piano works. With a degree of frustration, George tried various piano teachers for some two years (circa. 1911) before finally being introduced to Charles Hambitzer by Jack Miller (circa. 1913), the pianist in the Beethoven Symphony Orchestra. Until his death in 1918, Hambitzer remained Gershwin's musical mentor and taught him conventional piano technique, introduced him to music of the European classical tradition, and encouraged him to attend orchestral concerts. Following such concerts, young Gershwin would essentially try to play, on the piano at home, the music he had heard from recall, and without sheet music. As a matter of course, Gershwin later studied with the classical composer Rubin Goldmark and avant-garde composer-theorist Henry Cowell, thus formalizing his classical music training. Al Jolson's hit 1920 recording of George Gershwin and Irving Caesar's 1919 "Swanee". In 1913, Gershwin left school at the age of 15 and found his first job as a "song plugger". His employer was Jerome H. Remick and Company, a Detroit-based publishing firm with a branch office on New York City's Tin Pan Alley, and he earned $15 a week. His first published song was "When You Want 'Em, You Can't Get 'Em, When You've Got 'Em, You Don't Want 'Em" in 1916 when Gershwin was only 17 years old. It earned him 50 cents. In 1916, Gershwin started working for Aeolian Company and Standard Music Rolls in New York, recording and arranging. 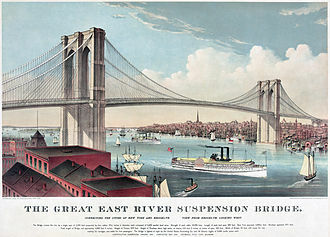 He produced dozens, if not hundreds, of rolls under his own and assumed names (pseudonyms attributed to Gershwin include Fred Murtha and Bert Wynn). He also recorded rolls of his own compositions for the Duo-Art and Welte-Mignon reproducing pianos. As well as recording piano rolls, Gershwin made a brief foray into vaudeville, accompanying both Nora Bayes and Louise Dresser on the piano. His 1917 novelty ragtime, "Rialto Ripples", was a commercial success. In 1919 he scored his first big national hit with his song, "Swanee", with words by Irving Caesar. Al Jolson, a famous Broadway singer of the day, heard Gershwin perform "Swanee" at a party and decided to sing it in one of his shows. In the late 1910s, Gershwin met songwriter and music director William Daly. The two collaborated on the Broadway musicals Piccadilly to Broadway (1920) and For Goodness' Sake (1922), and jointly composed the score for Our Nell (1923). This was the beginning of a long friendship. Daly was a frequent arranger, orchestrator and conductor of Gershwin's music, and Gershwin periodically turned to him for musical advice. In 1924, Gershwin composed his first major classical work, Rhapsody in Blue, for orchestra and piano. It was orchestrated by Ferde Grofé and premiered by Paul Whiteman's Concert Band, in New York. It subsequently went on to be his most popular work, and established Gershwin's signature style and genius in blending vastly different musical styles in revolutionary ways. Since the early 1920s, Gershwin frequently worked with the lyricist Buddy DeSylva. Together they created the experimental one-act jazz opera Blue Monday, set in Harlem. It is widely regarded as a forerunner to the groundbreaking Porgy and Bess. In 1924, George and Ira Gershwin collaborated on a stage musical comedy Lady Be Good, which included such future standards as "Fascinating Rhythm" and "Oh, Lady Be Good!". They followed this with Oh, Kay! (1926), Funny Face (1927) and Strike Up the Band (1927 and 1930). Gershwin allowed the song, with a modified title, to UCLA to be used as a football fight song, "Strike Up The Band for UCLA". In the mid-1920s, Gershwin stayed in Paris for a short period of time, during which he applied to study composition with the noted Nadia Boulanger, who, along with several other prospective tutors such as Maurice Ravel, rejected him. They were afraid that rigorous classical study would ruin his jazz-influenced style. Maurice Ravel's rejection letter to Gershwin told him, "Why become a second-rate Ravel when you're already a first-rate Gershwin?" While there, Gershwin wrote An American in Paris. This work received mixed reviews upon its first performance at Carnegie Hall on December 13, 1928, but it quickly became part of the standard repertoire in Europe and the United States. Growing tired of the Parisian musical scene, Gershwin returned to the United States. In 1929, Gershwin was contracted by Fox Film Corporation to compose the score for the movie Delicious. Only two pieces were used in the final film, the five-minute "Dream Sequence" and the six-minute "Manhattan Rhapsody", which in expanded form was later published as the Second Rhapsody. 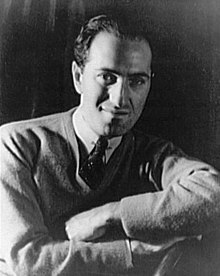 Gershwin became infuriated when the rest of the score was rejected by Fox Film Corporation, and it would be seven years before he worked in Hollywood again. In 1929, the Gershwin brothers created Show Girl; Girl Crazy performed 1930, which introduced the standards "Embraceable You", debuted by Ginger Rogers, and "I Got Rhythm"; and Of Thee I Sing in 1931, which was the first musical comedy to win the Pulitzer Prize for Drama; the winners were George S. Kaufman, Morrie Ryskind, and Ira Gershwin. Gershwin's first opera, Blue Monday, is a short one-act opera, which was not a financial success and has received only limited performances. His most ambitious composition was Porgy and Bess, first performed in 1935, based on the novel Porgy by DuBose Heyward, which he called a "folk opera", and it is now widely regarded as one of the most important American operas of the twentieth century. "From the very beginning, it was considered another American classic by the composer of 'Rhapsody in Blue'— even if critics couldn't quite figure out how to evaluate it. Was it opera, or was it simply an ambitious Broadway musical? 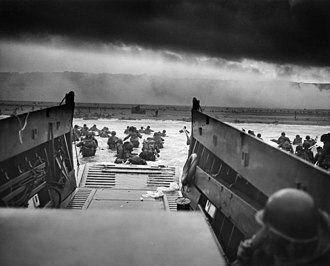 'It crossed the barriers,' per theater historian Robert Kimball. 'It wasn't a musical work per se, and it wasn't a drama per se – it elicited response from both music and drama critics. But the work has sort of always been outside category." The action takes place in the fictional, African-American neighborhood of Catfish Row, Charleston, South Carolina. With the exception of several minor speaking roles, all of the characters are African-American. The music combines elements of popular music of the day, with a strong influence of African-American music, of the period, with techniques typical of opera, such as recitative, through-composition and an extensive system of leitmotifs. Porgy and Bess contains some of Gershwin's most sophisticated music, including a fugue, a passacaglia, the use of atonality, polytonality and polyrhythm, and a tone row. Even the "set numbers" (of which "Summertime", "I Got Plenty o' Nuttin'" and "It Ain't Necessarily So" are well known examples) are some of the most refined and ingenious of Gershwin's compositions. For the performances, Gershwin collaborated with Eva Jessye, whom he picked as the musical director. 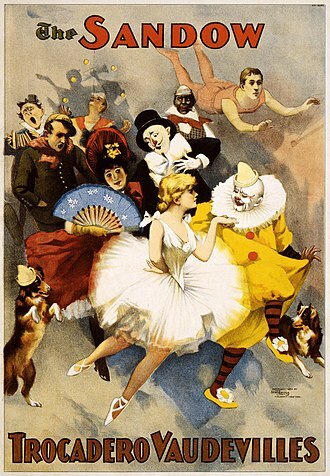 The work was first performed in 1935; it was a box-office failure in the middle of the Great Depression. After the commercial failure of Porgy and Bess, Gershwin moved to Hollywood, California. In 1936, he was commissioned by RKO Pictures to write the music for the film Shall We Dance, starring Fred Astaire and Ginger Rogers. Gershwin's extended score, which would marry ballet with jazz in a new way, runs over an hour in length. It took Gershwin several months to compose and orchestrate. Gershwin had a ten-year affair with composer Kay Swift, whom he frequently consulted about his music. The two never married, although she eventually divorced her husband James Warburg in order to commit to the relationship. 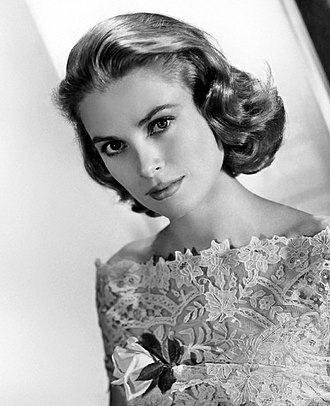 Swift's granddaughter, Katharine Weber, has suggested that the pair were not married because George's mother Rose was "unhappy that Kay Swift wasn't Jewish". Oh, Kay was named for her. After Gershwin's death, Swift arranged some of his music, transcribed several of his recordings, and collaborated with his brother Ira on several projects. Early in 1937, Gershwin began to complain of blinding headaches and a recurring impression that he smelled burning rubber. On February 11, 1937, he performed his Piano Concerto in F in a special concert of his music with the San Francisco Symphony Orchestra under the direction of French maestro Pierre Monteux. Gershwin, normally a superb pianist in his own compositions, suffered coordination problems and blackouts during the performance. He was at the time working on other Hollywood film projects while living with Ira and his wife Leonore in their rented house in Beverly Hills. Leonore Gershwin began to be disturbed by George's mood swings and his seeming inability to eat without spilling food at the dinner table. She suspected mental illness and insisted he be moved out of their house to lyricist Yip Harburg's empty quarters nearby, where he was placed in the care of his valet, Paul Mueller. The headaches and olfactory hallucinations continued. On June 23, 1937 after an incident in which Gershwin tried to push Mueller out of the car in which they were riding, he was admitted to Cedars of Lebanon Hospital in Los Angeles for observation. Tests showed no physical cause and he was released on the 26th with a diagnosis of "likely hysteria". His troubles with coordination and mental acuity worsened, though. On the night of July 9, 1937 Gershwin collapsed in Harburg's house, where he had been working on the score of The Goldwyn Follies. He was rushed back to Cedars of Lebanon, and fell into a coma. Only then did his doctors think that he was suffering from a brain tumor. Leonore called George's close friend Emil Mosbacher and explained the dire need to find a neurosurgeon. Mosbacher immediately called pioneering neurosurgeon Harvey Cushing in Boston, who, retired for several years by then, recommended Dr. Walter Dandy, who was on a boat fishing in Chesapeake Bay with the governor of Maryland. Mosbacher then called the White House and had a Coast Guard cutter sent to find the governor's yacht and bring Dandy quickly to shore. Mosbacher then chartered a plane and flew Dandy to Newark Airport, where he was to catch a plane to Los Angeles; however, by that time, Gershwin's condition was critical and the need for surgery was immediate. In the early hours of July 11, doctors at Cedars removed a large brain tumor, believed to have been a glioblastoma, but Gershwin died on the morning of Sunday, July 11, 1937, at the age of 38. The fact that he had suddenly collapsed and become comatose after he stood up on July 9, has been interpreted as brain herniation with Duret haemorrhages. Gershwin's friends and fans were shocked and devastated. John O'Hara remarked: "George Gershwin died on July 11, 1937, but I don't have to believe it if I don't want to." 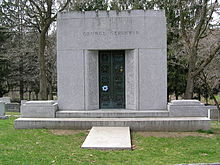 He was interred at Westchester Hills Cemetery in Hastings-on-Hudson, New York. A memorial concert was held at the Hollywood Bowl on September 8, 1937, at which Otto Klemperer conducted his own orchestration of the second of Gershwin's Three Preludes. Birthday party honoring Maurice Ravel in New York City, March 8, 1928. 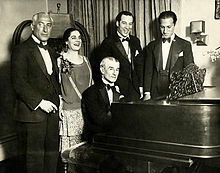 From left: Oskar Fried; Éva Gauthier; Ravel at piano; Manoah Leide-Tedesco; and George Gershwin. Gershwin was influenced by French composers of the early twentieth century. In turn Maurice Ravel was impressed with Gershwin's abilities, commenting, "Personally I find jazz most interesting: the rhythms, the way the melodies are handled, the melodies themselves. I have heard of George Gershwin's works and I find them intriguing." The orchestrations in Gershwin's symphonic works often seem similar to those of Ravel; likewise, Ravel's two piano concertos evince an influence of Gershwin. Gershwin's own Concerto in F was criticized for being related to the work of Claude Debussy, more so than to the expected jazz style. The comparison did not deter him from continuing to explore French styles. The title of An American in Paris reflects the very journey that he had consciously taken as a composer: "The opening part will be developed in typical French style, in the manner of Debussy and Les Six, though the tunes are original." Aside from the French influence, Gershwin was intrigued by the works of Alban Berg, Dmitri Shostakovich, Igor Stravinsky, Darius Milhaud, and Arnold Schoenberg. He also asked Schoenberg for composition lessons. Schoenberg refused, saying "I would only make you a bad Schoenberg, and you're such a good Gershwin already." (This quote is similar to one credited to Maurice Ravel during Gershwin's 1928 visit to France – "Why be a second-rate Ravel, when you are a first-rate Gershwin?") Gershwin was particularly impressed by the music of Berg, who gave him a score of the Lyric Suite. He attended the American premiere of Wozzeck, conducted by Leopold Stokowski in 1931, and was "thrilled and deeply impressed". Russian Joseph Schillinger's influence as Gershwin's teacher of composition (1932–1936) was substantial in providing him with a method of composition. There has been some disagreement about the nature of Schillinger's influence on Gershwin. After the posthumous success of Porgy and Bess, Schillinger claimed he had a large and direct influence in overseeing the creation of the opera; Ira completely denied that his brother had any such assistance for this work. A third account of Gershwin's musical relationship with his teacher was written by Gershwin's close friend Vernon Duke, also a Schillinger student, in an article for the Musical Quarterly in 1947. What set Gershwin apart was his ability to manipulate forms of music into his own unique voice. He took the jazz he discovered on Tin Pan Alley into the mainstream by splicing its rhythms and tonality with that of the popular songs of his era. Although George Gershwin would seldom make grand statements about his music, he believed that "true music must reflect the thought and aspirations of the people and time. My people are Americans. My time is today." In 2007, the Library of Congress named their Prize for Popular Song after George and Ira Gershwin. Recognizing the profound and positive effect of popular music on culture, the prize is given annually to a composer or performer whose lifetime contributions exemplify the standard of excellence associated with the Gershwins. On March 1, 2007, the first Gershwin Prize was awarded to Paul Simon. Early in his career, under both his own name and pseudonyms, Gershwin recorded more than one hundred and forty player piano rolls which were a main source of his income. The majority were popular music of the period and a smaller proportion were of his own works. Once his musical theatre-writing income became substantial, his regular roll-recording career became superfluous. He did record additional rolls throughout the 1920s of his main hits for the Aeolian Company's reproducing piano, including a complete version of his Rhapsody in Blue. Compared to the piano rolls, there are few accessible audio recordings of Gershwin's playing. His first recording was his own "Swanee" with the Fred Van Eps Trio in 1919. The recorded balance highlights the banjo playing of Van Eps, and the piano is overshadowed. The recording took place before "Swanee" became famous as an Al Jolson specialty in early 1920. Gershwin recorded an abridged version of Rhapsody in Blue with Paul Whiteman and his orchestra for the Victor Talking Machine Company in 1924, soon after the world premiere. Gershwin and the same orchestra made an electrical recording of the abridged version for Victor in 1927. However, a dispute in the studio over interpretation angered Whiteman and he left. The conductor's baton was taken over by Victor's staff conductor Nathaniel Shilkret. Gershwin made a number of solo piano recordings of tunes from his musicals, some including the vocals of Fred and Adele Astaire, as well as his Three Preludes for piano. In 1929, Gershwin "supervised" the world premiere recording of An American in Paris with Nathaniel Shilkret and the Victor Symphony Orchestra. Gershwin's role in the recording was rather limited, particularly because Shilkret was conducting and had his own ideas about the music. When it was realized that no one had been hired to play the brief celeste solo, Gershwin was asked if he could and would play the instrument, and he agreed. Gershwin can be heard, rather briefly, on the recording during the slow section. Gershwin appeared on several radio programs, including Rudy Vallee's, and played some of his compositions. This included the third movement of the Concerto in F with Vallee conducting the studio orchestra. Some of these performances were preserved on transcription discs and have been released on LP and CD. In 1934, in an effort to earn money to finance his planned folk opera, Gershwin hosted his own radio program titled Music by Gershwin. The show was broadcast on the NBC Blue Network from February to May and again in September through the final show on December 23, 1934. He presented his own work as well as the work of other composers. Recordings from this and other radio broadcasts include his Variations on I Got Rhythm, portions of the Concerto in F, and numerous songs from his musical comedies. He also recorded a run-through of his Second Rhapsody, conducting the orchestra and playing the piano solos. Gershwin recorded excerpts from Porgy and Bess with members of the original cast, conducting the orchestra from the keyboard; he even announced the selections and the names of the performers. In 1935 RCA Victor asked him to supervise recordings of highlights from Porgy and Bess; these were his last recordings. A 74-second newsreel film clip of Gershwin playing I Got Rhythm has survived, filmed at the opening of the Manhattan Theater (now The Ed Sullivan Theater) in August 1931. There are also silent home movies of Gershwin, some of them shot on Kodachrome color film stock, which have been featured in tributes to the composer. In addition, there is newsreel footage of Gershwin playing "Mademoiselle from New Rochelle" and "Strike Up the Band" on the piano during a Broadway rehearsal of the 1930 production of Strike Up the Band. In the mid-30s, "Strike Up The Band" was given to UCLA to be used as a football fight song, "Strike Up The Band for UCLA". The comedy team of Clark and McCullough are seen conversing with Gershwin, then singing as he plays. In 1945, the film biography Rhapsody in Blue was made, starring Robert Alda as George Gershwin. The film contains many factual errors about Gershwin's life, but also features many examples of his music, including an almost complete performance of Rhapsody in Blue. In 1965, Movietone Records released an album MTM 1009 featuring Gershwin's piano rolls of the titled George Gershwin plays RHAPSODY IN BLUE and his other favorite compositions. The B-side of the LP featured nine other recordings. In 1975, Columbia Records released an album featuring Gershwin's piano rolls of Rhapsody In Blue, accompanied by the Columbia Jazz Band playing the original jazz band accompaniment, conducted by Michael Tilson Thomas. The B-side of the Columbia Masterworks release features Tilson Thomas leading the New York Philharmonic in An American In Paris. In 1976, RCA Records, as part of its "Victrola Americana" line, released a collection of Gershwin recordings taken from 78s recorded in the 1920s and called the LP "Gershwin plays Gershwin, Historic First Recordings" (RCA Victrola AVM1-1740). Included were recordings of "Rhapsody in Blue" with the Paul Whiteman Orchestra and Gershwin on piano; "An American in Paris", from 1927 with Gershwin on celesta; and "Three Preludes", "Clap Yo' Hands" and Someone to Watch Over Me", among others. There are a total of ten recordings on the album. At the opening ceremony of the 1984 Olympic Games in Los Angeles, "Rhapsody in Blue" was performed in spectacular fashion by many pianists. The soundtrack to Woody Allen's 1979 film Manhattan is composed entirely of Gershwin's compositions, including Rhapsody in Blue, "Love is Sweeping the Country", and "But Not for Me", performed by both the New York Philharmonic under Zubin Mehta and the Buffalo Philharmonic under Michael Tilson Thomas. The film begins with a monologue by Allen: "He adored New York City ... To him, no matter what the season was, this was still a town that existed in black and white and pulsated to the great tunes of George Gershwin." In 1993, two audio CDs featuring piano rolls recorded by Gershwin were issued by Nonesuch Records through the efforts of Artis Wodehouse, and entitled Gershwin Plays Gershwin: The Piano Rolls. In October 2009, it was reported by Rolling Stone that Brian Wilson was completing two unfinished compositions by George Gershwin, released as Brian Wilson Reimagines Gershwin on August 17, 2010, consisting of ten George and Ira Gershwin songs, bookended by passages from "Rhapsody in Blue", with two new songs completed from unfinished Gershwin fragments by Wilson and band member Scott Bennett. Crazy for You (1992), a revised version of Girl Crazy, written and compiled without the participation of either George or Ira Gershwin. Gershwin died intestate, and his estate passed to his mother. The estate continues to collect significant royalties from licensing the copyrights on his work. 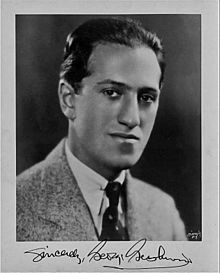 The estate supported the Sonny Bono Copyright Term Extension Act because its 1923 cutoff date was shortly before Gershwin had begun to create his most popular works. The copyrights on all Gershwin's solo works expired at the end of 2007 in the European Union, based on its life-plus-70-years rule. In 2005, The Guardian determined using "estimates of earnings accrued in a composer's lifetime" that George Gershwin was the wealthiest composer of all time. In September 2013, a partnership between the estates of Ira and George Gershwin and the University of Michigan was created and will provide the university's School of Music, Theatre, and Dance access to Gershwin's entire body of work, which includes all of Gershwin's papers, compositional drafts, and scores. This direct access to all of his works will provide opportunities to musicians, composers, and scholars to analyze and reinterpret his work with the goal of accurately reflecting the composers' vision in order to preserve his legacy. The first fascicles of The Gershwin Critical Edition, edited by Mark Clague, are expected in 2017; they will cover the 1924 jazz band version of Rhapsody in Blue, An American in Paris and Porgy and Bess. In 1937, Gershwin received his sole Academy Award nomination for Best Original Song at the 1937 Oscars for "They Can't Take That Away from Me", written with his brother Ira for the 1937 film Shall We Dance. The nomination was posthumous; Gershwin died two months after the film's release. In 1985, the Congressional Gold Medal was awarded to George and Ira Gershwin. Only three other songwriters, George M. Cohan, Harry Chapin and Irving Berlin, have had the honor of receiving this award. In 1998 a special Pulitzer Prize was posthumously awarded to Gershwin "commemorating the centennial year of his birth, for his distinguished and enduring contributions to American music." The George and Ira Gershwin Lifetime Musical Achievement Award was established by UCLA to honor the brothers for their contribution to music and for their gift to UCLA of the fight song "Strike Up the Band for UCLA". In 2006, Gershwin was inducted into the Long Island Music Hall of Fame. The Gershwin Theatre on Broadway is named after George and Ira. The Gershwin Hotel in the Flatiron District of Manhattan in New York City was named after George and Ira. In Brooklyn, George Gershwin Junior High School 166 is named after him. The 1945 biographical film Rhapsody in Blue starred Robert Alda as George Gershwin. Paul Rudd portrays an imaginary friend based on George Gershwin, said to be his creator's favorite composer, in the 2015 series finale of the Irish sitcom Moone Boy, "Gershwin's Bucket List". ^ Obituary Variety, July 14, 1937, page 70. ^ "GEORGE GERSHWIN, COMPOSER, IS DEAD; Master of Jazz Succumbs in Hollywood at 38 After Operation for Brain Tumor". Retrieved July 29, 2018. ^ Carp L. George Gershwin-illustrious American composer: his fatal glioblastoma. Am J Surg Pathol 1979; 3: 473-478. ^ Hyland 2003, pp. 1–3. ^ Pollack 2006, p. 3. ^ Jablonski 1987, pp. 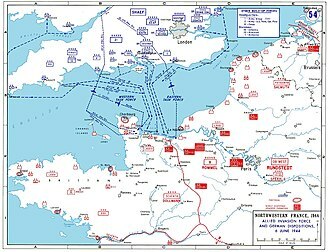 29–31. ^ Jablonski 1987, pp. 10, 29–31. ^ Andrew Rosenberg, Martin Dunford (2012). The Rough Guide to New York City. Penguin. ^ "Judaic Treasures of the Library of Congress: George Gershwin". Jewish Virtual Library. 2013. Retrieved March 10, 2013. As quoted from Abraham J. Karp (1991) From the Ends of the Earth: Judaic Treasures of the Library of Congress, p. 351, ISBN 0847814505. ^ Schwartz, Charles (1973). Gershwin, His Life and Music. New York, NY: Da Capo Press, Inc. p. 14. ISBN 0-306-80096-9. ^ Hyland 2003, p. 13. ^ Hyland 2003, p. 14. ^ a b c Venezia, Mike (1994). Getting to Know the World's Greatest Composers: George Gerswhin. Chicago IL: Childrens Press. ^ Slide, Anthony. The Encyclopedia of Vaudeville, Westport, Connecticut: Greenwood Press, 1994. p. 111. ^ Pollack 2006, pp. 191–192. ^ Jablonski 1987, pp. 155–170. ^ Jablonski 1987, pp. 178–180. ^ "Drama". The Pulitzer Prizes. Retrieved August 22, 2011. ^ Sidney Offit (September–October 2011). "Sins of Our Fathers (and Grandmothers)". Moment Magazine. Archived from the original on October 11, 2011. Retrieved October 3, 2011. ^ Hyland 2003, p. 108. ^ Kay Swift biography (Kay Swift Memorial Trust). kayswift.com. Retrieved December 28, 2007. ^ Pollack 2006, p. 353. ^ a b Jablonski, Edward. Gershwin. New York: Doubleday, 1987. p. 323. ^ Jablonski, Edward. Gershwin. New York: Doubleday, 1987. p. 324. ^ a b Mezaki, Takahiro (2017). "George Gershwin's death and Duret haemorrhage". The Lancet. 390 (10095): 646. doi:10.1016/S0140-6736(17)31623-9. PMID 28816130. ^ "Broad Street". Broadstreetreview.com. February 27, 2007. Retrieved March 10, 2010. ^ Pollack 2006, p. 392. ^ Mawer & Cross 2000, p. 42. ^ Hyland 2003, p. 126. ^ Peyser 2007, p. 133. ^ Pollack 2006, p. 163. ^ Jablonski & Stewart 1973, p. 70. ^ George Gershwin and the player piano 1915–1927. richard-dowling.com. Retrieved December 28, 2007. ^ Jablonski & Stewart, pp. 25, 227–229..
^ Pollack 2006, p. 7. ^ Scott, Kirsty.Gershwin leads composer rich list The Guardian, August 29, 2005. Retrieved December 28, 2007. ^ "U-M to become epicenter of research on music of George & Ira Gershwin". Michigan News. 2013. Retrieved November 26, 2013. ^ "Toward a Go-To Gershwin Edition". New York Times. 2013. Retrieved November 26, 2013. ^ "The Gershwin Critical Edition - Senza Sordino". March 21, 2016. Retrieved July 29, 2018. ^ "Congressional Gold Medal Recipients (1776 to Present)" Office of the Clerk, US House of Representatives (clerk.house.gov0. Retrieved April 15, 2010. ^ "The 1998 Pulitzer Prize Winners: Special Awards and Citations". The Pulitzer Prizes. Retrieved December 3, 2013. ^ "George Gershwin | Long Island Music Hall of Fame". www.limusichalloffame.org. Retrieved September 18, 2017. ^ Richardson, Clem (October 23, 2009). "Tonya Lewis brings start power and true perfect to 'only-place-to-be' party". Daily News. New York. Retrieved June 15, 2011. ^ "Koningsdam". 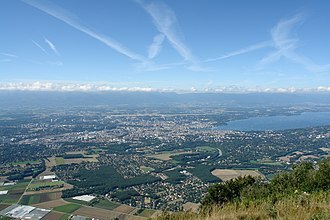 www.hollandamerica.com. Retrieved January 16, 2019. Hyland, William G. (2003). George Gershwin : A New Biography. Praeger. ISBN 0-275-98111-8. Jablonski, Edward; Stewart, Lawrence D. (1973). The Gershwin Years: George and Ira (2nd ed.). Garden City, New Jersey: Doubleday. ISBN 0-306-80739-4. Jablonski, Edward (1987). Gershwin. Doubleday. ISBN 0-385-19431-5. Mawer, Deborah; Cross, Jonathan, eds. (2000). The Cambridge Companion to Ravel. Cambridge Companions to Music. Cambridge University Press. ISBN 0-521-64856-4. Peyser, Joan (2007). The Memory of All That:The Life of George Gershwin. Hal Leonard. ISBN 1-4234-1025-4. Pollack, Howard (2006). George Gershwin. His Life and Work. University of California Press. ISBN 978-0-520-24864-9. Wikimedia Commons has media related to George Gershwin. "Discovering Gershwin". BBC Radio 3. The Æolian Company was a manufacturer of player organs and pianos. They created Vocalion Records and operated the label from 1917 to December 1924, the Aeolian Company was founded by New York City piano maker William B. Tremaine as the Æolian Organ & Music Co. to make automatic organs and, after 1895 and he had previously founded the Mechanical Orguinette Co. in 1878 to manufacture automated reed organs. Elaborate cases and consoles were often featured in residence organs, in other installations, the pipes were hidden behind tapestries, under or above staircases, or spoke from the basement through grilles or tone chutes. They made Organettes and Player Pump Organs for the Working Man to buy, the pianola, a pneumatic player piano, soon after became extremely popular. It had been invented in 1895 by Edwin S. Votey, in 1897, Votey joined Aeolian and in 1900 the firm obtained the patent for such instruments. In 1903, Tremaine absorbed a number of companies making self-playing instruments, including the Weber Co.
a New York piano maker since 1852, into the Aeolian, Weber Piano & Pianola Co. In 1904 Aeolian sued the Los Angeles Art Organ Company for patent infringement of its player mechanism, other patent lawsuits were not always successful. Became the world’s leading manufacturer of such roll-operated instruments, in 1916 the Æolian Co. started making Vocalion phonographs and in 1917/8 started Vocalion Records, a maker of high-quality discs which in December 1924 was sold to Brunswick Records. The phonograph was one of the factors in the demise of the player piano, although Starr made players. An attempt of the company to engage in the production of church and concert organs resulted in important installations at Duke University Chapel and Longwood Gardens. It was undermined by the Great Depression, during which the division was merged with the E. M. Skinner Organ Co. to become the Aeolian-Skinner Organ Co. a leading builder until the 1970s. As the popularity of the player piano faded with the rise of the gramophone and radio, the combined company, known as Aeolian-American Corp. went through several ownership changes before declaring bankruptcy in 1985. Lithuanian Jews or Litvaks are Jews with roots in the Grand Duchy of Lithuania. The term is used to cover all Orthodox Jews who follow a Lithuanian style of life and learning. The area where Lithuanian Jews lived is referred to in Yiddish as Líta, Lithuania was historically home to a large and influential Jewish community that was almost entirely eliminated during the Holocaust. 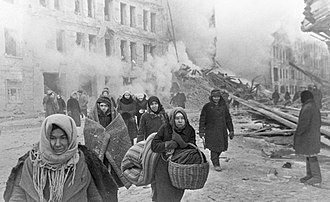 Before World War II, the Lithuanian Jewish population was some 160,000, Vilnius had a Jewish community of nearly 100,000, about 45% of the citys total population. There were over 110 synagogues and 10 yeshivas in Vilnius alone, about 2,000 Jews were counted in Lithuania during the 2005 census. Quoting the research done by H. G, using different sources Holocaust researchers claim there were between 60,000 and 65,000 Jewish soldiers in Polands independent army who identified themselves as Lithuanian Jews. The Yiddish adjective ליטוויש Litvish means Lithuanian, the noun for a Lithuanian Jew is Litvak. Of the main Yiddish dialects in Europe, the Litvishe Yiddish dialect was spoken by Jews in Lithuania, Latvia and northeaster Poland, including Suwałki, Lomza, in modern Israel Litaim is often used for all Haredi Jews who are not Hasidim. Other expressions used for this purpose are Yeshivishe and Misnagdim, both the words Litvishe and Litaim are somewhat misleading, because there are Hasidic Jews from greater Lithuania and lots of Lithuanian Jews who are not Haredim. The term Misnagdim on the hand is somewhat outdated, because the opposition between the two groups has lost much of its relevance. Yeshivishe is problematic because Hasidim now make use of yeshivot as much as the Litvishe Jews, the characteristically Lithuanian approach to Judaism was marked by a concentration on highly intellectual Talmud study. Lithuania became the heartland of the traditionalist opposition to Hasidism, differences between the groups grew to the extent that in popular perception Lithuanian and misnagged became virtually interchangeable terms. However, a minority of Lithuanian Jews belong to Hasidic groups, including Chabad, Karlin. The most famous Lithuanian institution of Jewish learning was Volozhin yeshiva, twentieth century Lithuanian yeshivas include Ponevezh, Mir and Slabodka, which bear the names of their Lithuanian forebears. There is no definitive list of jazz standards, and the list of songs deemed to be standards changes over time. Songs included in major book publications and jazz reference works offer a rough guide to which songs are considered standards. Not all jazz standards were written by jazz composers, many are originally Tin Pan Alley popular songs, Broadway show tunes or songs from Hollywood musicals – the Great American Songbook. In Europe, jazz standards and fake books may include some traditional folk songs or pieces of ethnic music that have been played with a jazz feel by well known jazz players. A commonly played song can only be considered a jazz standard if it is played among jazz musicians. The jazz standard repertoire has some overlap with blues and pop standards, the most recorded jazz standard was W. C. Handys St. Louis Blues for over 20 years from the 1930s onward, the place is held by Body and Soul by Johnny Green. The most recorded standard composed by a musician is Thelonious Monks Round Midnight. From its conception at the change of the century, jazz was music intended for dancing. Edison, Inc. on Blue Amberol in December 1916 and in 1917, the first record with Jass on the label, The Original Dixieland One-Step was issue 18255 by Victor Talking Machine Company in 1917. Originally simply called jazz, the music of jazz bands is today often referred to as Dixieland or New Orleans jazz. Ragtime songs Twelfth Street Rag and Tiger Rag have become popular numbers for jazz artists, as have blues tunes St. Louis Blues, Tin Pan Alley songwriters contributed several songs to the jazz standard repertoire, including Indiana and After Youve Gone. Others, such as Some of These Days and Darktown Strutters Ball, were introduced by vaudeville performers, the most often recorded standards of this period are W. C. Handys St. Louis Blues, Turner Layton and Henry Creamers After Youve Gone and James Hanley, a period known as the Jazz Age started in the United States in the 1920s. Jazz had become popular music in the country, although older generations considered the music immoral, dances such as the Charleston and the Black Bottom were very popular during the period, and jazz bands typically consisted of seven to twelve musicians. Paul Samuel Whiteman was an American bandleader, orchestral director and violinist. He co-wrote the 1925 jazz classic Flamin Mamie and his popularity faded in the swing music era of the middle 1930s, and by the 1940s Whiteman was semi-retired from music. But he experienced a revival and had a comeback in the 1950s with his own television series on ABC, Paul Whitemans Goodyear Revue. He hosted the 1954 ABC talent contest show On the Boardwalk with Paul Whiteman, Whitemans place in the history of early jazz is somewhat controversial. Detractors suggest that Whitemans ornately-orchestrated music was jazz in name only, in his autobiography, Duke Ellington declared, Paul Whiteman was known as the King of Jazz, and no one as yet has come near carrying that title with more certainty and dignity. Whitemans crowning of the term King of Jazz was likely not meant to take anything away from the performers of the more pure jazz style, Whiteman was born in Denver, Colorado. His father insisted that he learn an instrument, preferably the violin, but young Paul preferred the viola, and that was what he learned to play. His skill at playing the viola led him to an opportunity to perform in the Denver Symphony Orchestra, he was a member from 1907, from 1917 to 1918, Whiteman conducted a 40-piece U. S. Navy band. After the war, he formed the Paul Whiteman Orchestra, with his classical violinist and violist start, he led a jazz-influenced dance band, which became popular locally in San Francisco, California in 1918. In 1920 he moved with his band to New York City where they started recording for the Victor Talking Machine Company which made the Paul Whiteman Orchestra famous nationally, Whiteman became the most popular band director of that decade. In a time when most dance bands consisted of six to ten men, Whiteman directed a much larger, by 1922, Whiteman already controlled some 28 ensembles on the East Coast and was earning over a $1,000,000 a year. Whiteman recorded Hoagy Carmichael singing and playing Washboard Blues to the accompaniment of his orchestra in 1927, in May 1928 Whiteman signed with Columbia Records, and recorded for the label until September 1931, when he returned to RCA Victor. In 1972 he was inducted into the Songwriters Hall of Fame Caesar, the son of Morris Keiser, a Romanian Jew, was born Isidor Keiser. in New York City. His older brother Arthur Caesar was a successful Hollywood screenwriter, the Caesar brothers spent their childhood and teen years in Yorkville, the same Manhattan neighborhood where the Marx Brothers were raised. Caesar knew the Marx Brothers during his childhood and he was educated at Chappaqua Mountain Institute in Chappaqua, New York. In his career Caesar collaborated with a variety of composers and songwriters, including Rudolf Friml, George Gershwin, Sigmund Romberg, Victor Herbert, Ted Koehler. Two of his best known numbers, I Want to Be Happy and Tea for Two, were written with Vincent Youmans for the 1925 musical No, No, Nanette. Another of his biggest hits, Animal Crackers in My Soup, was popularized by Shirley Temple in her 1935 film Curly Top. Just a Gigolo, his 1929 adaptation of an Austrian song, was a hit for Louis Prima in the 1950s, in the late 1930s he and composer Gerald Marks wrote a famous series of childrens songs focusing on safety. George Gard Buddy DeSylva was an American songwriter, film producer and record executive. He wrote or co-wrote many popular songs and along with Johnny Mercer and Glenn Wallichs, DeSylva was born in New York City, but grew up in California and attended the University of Southern California, where he joined the Theta Xi Fraternity. His father, Aloysius J. De Sylva, was known to American audiences as the Portuguese-born actor. His mother, Georgetta Miles Gard, was the daughter of Los Angeles police chief, deSylvas first successful songs were those used by Al Jolson on Broadway in the 1918 Sinbad production, which included Ill Say She Does. Soon thereafter he met Jolson and in 1918 the pair went to New York, in the early 1920s, DeSylva frequently worked with composer George Gershwin. Together they created the experimental one-act jazz opera Blue Monday set in Harlem, in April 1924, DeSylva married Marie Wallace, a Ziegfeld Follies dancer. In 1925, DeSylva became one third of the team with lyricist Lew Brown and composer Ray Henderson. The team was responsible for the song Magnolia which was popularized by Lou Golds orchestra, the writing and publishing partnership continued until 1930, producing a string of feel-good hits and the perennial Broadway favorite Good News. The popularity of team was so great that Gershwins mother supposedly chided her sons for not being able to write the sort of hits turned out by the trio. DeSylva joined ASCAP in 1920 and served on the ASCAP board of directors between 1922 and 1930 and he became a producer of stage and screen musicals. DeSylva relocated to Hollywood and went under contract to Fox Studios, during this tenure, he produced movies such as The Little Colonel, The Littlest Rebel, Captain January, Poor Little Rich Girl and Stowaway. In 1941, he became the Executive Producer at Paramount Pictures, at Paramount, he was an uncredited executive producer for Double Indemnity, For Whom the Bell Tolls, The Story of Dr. Wassell and The Glass Key. The Paramount all-star extravaganza Star Spangled Rhythm, which place at the Paramount film studio in Hollywood. The start of Tin Pan Alley is usually dated to about 1885, when a number of music publishers set up shop in the same district of Manhattan. The end of Tin Pan Alley is less clear cut, the origins of the name Tin Pan Alley are unclear. One account claims that it was a reference to the sound of many pianos. Others claim it arose from songwriters modifying their pianos to produce a percussive sound. After many years, the term came to refer to the U. S. music industry in general, various explanations have been advanced to account for the origins of the term Tin Pan Alley. This article has not been found, simon Napier-Bell quotes an account of the origin of the name which was published in a 1930 book about the music business. In this version, popular songwriter Harry von Tilzer was being interviewed about the area around 28th Street and Fifth Avenue, von Tilzer had modified his expensive Kindler & Collins piano by placing strips of paper down the strings to give the instrument a more percussive sound. The journalist told von Tilzer, Your Kindler & Collins sounds exactly like a tin can, ill call the article Tin Pan Alley. With time, this nickname was popularly embraced and came to describe the American music publishing industry in general, the term spread to the United Kingdom, where Tin Pan Alley is used to describe Denmark Street in Londons West End. In the 1920s the street known as Britains Tin Pan Alley because of its large number of music shops. In the mid-19th century, copyright control of melodies was not as strict, with stronger copyright protection laws late in the century, composers and publishers started working together for their mutual financial benefit. Songwriters would literally bang on doors of Tin Pan Alley to get new material, the two most enterprising New York publishers were Willis Woodard and T. B. Harms, the first companies to specialize in popular songs rather than hymns or classical music. Naturally, these firms were located in the entertainment district, Witmark was the first publishing house to move to West 28th Street as the entertainment district gradually shifted uptown, and by the late 1890s most publishers had followed their lead. Al Jolson was an American singer, film actor, and comedian. At the peak of his career, he was dubbed The Worlds Greatest Entertainer and his performing style was brash and extroverted, and he popularized a large number of songs that benefited from his shamelessly sentimental, melodramatic approach. Numerous well-known singers were influenced by his music, including Bing Crosby, David Bowie, Bob Dylan, Rod Stewart, Dylan once referred to him as somebody whose life I can feel. Broadway critic Gilbert Seldes compared him to the Greek god Pan, claiming that Jolson represented the concentration of our national health, in the 1930s, Jolson was Americas most famous and highest-paid entertainer. Between 1911 and 1928, Jolson had nine sell-out Winter Garden shows in a row, more than 80 hit records, and 16 national and international tours. Although he is best remembered today as the star of the first talking picture, The Jazz Singer, after the attack on Pearl Harbor, he was the first star to entertain troops overseas during World War II. After a period of inactivity, his stardom returned with The Jolson Story, for which Larry Parks played Jolson, the formula was repeated in a sequel, Jolson Sings Again. In 1950, he became the first star to entertain GIs on active service in the Korean War. He died just weeks after returning to the U. S. partly owing to the exertion of performing. Defense Secretary George Marshall posthumously awarded him the Medal of Merit, According to the St. James Encyclopedia of Popular Culture, Jolson was to jazz and ragtime what Elvis Presley was to rock n roll. Being the first popular singer to make a spectacular event out of singing a song and his specialty was performing on stage runways extending out into the audience. According to music historian Larry Stempel, No one had heard anything quite like it before on Broadway, author Stephen Banfield agreed, writing that Jolsons style was arguably the single most important factor in defining the modern musical. 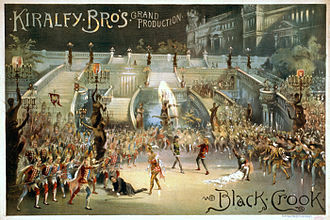 Jolson enjoyed performing in blackface makeup, a convention since the mid-19th century. The Yiddish Theatre District, called the Jewish Rialto and the Yiddish Realto, was the center of New York Citys Yiddish theatre scene in the early 20th century. It was located primarily on Second Avenue, though it extended to Avenue B, the District hosted performances in Yiddish of Jewish, Shakespearean and original plays, comedies and dramas, as well as vaudeville and musical shows. By World War I, the Yiddish Theatre District was cited by journalists Lincoln Steffens, Norman Hapgood and it was the leading Yiddish theater district in the world. The Districts theaters hosted as many as 20 to 30 shows a night, after World War II, Yiddish theater became less popular. By the mid-1950s few theaters were still extant in the District, in 1903, New Yorks first Yiddish theater was built, the Grand Theatre. 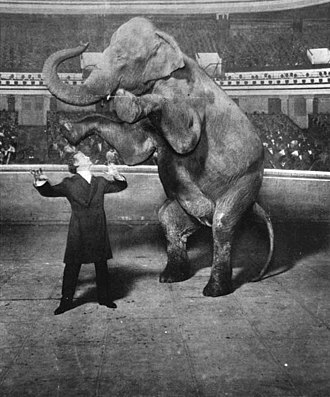 In addition to translated versions of plays, it featured vaudeville acts, musicals. In addition to Yiddish theaters, the District had related music stores, photography studios, flower shops and cafes. 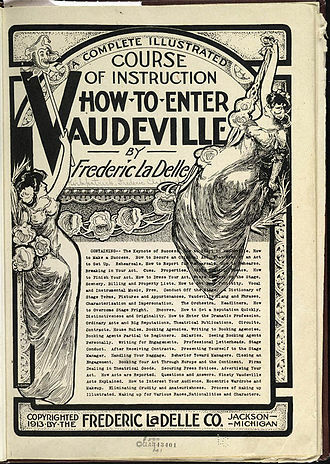 This 1913 how-to booklet for would-be vaudevillians was recently republished. As the genre declined, most performers left the theatre. The child tap dancer Ray Wollbrinck, once called "the cleverest buckdancer on the vaudeville stage", later became a bandleader and ended his days as a bank teller. The first page of "The Easy Winners" by Scott Joplin shows ragtime rhythms and syncopated melodies. "Trav'lin' Light" by Paul Whiteman and his Orchestra featuring Billie Holiday on vocals released as V-Disc 286A by the U.S. War Department in October, 1944. Late 1930s reissue of the 1927 electrical release of Rhapsody in Blue as Victor 35822A by Paul Whiteman and His Concert Orchestra with George Gershwin on piano. 1974 Grammy Hall of Fame inductee. An advertisement for the Aeolian Company from the October 26, 1908, edition of The New York Times.